A fun activity on any road trip is stopping when you see a sign that looks fun. That’s what lead us to the Three Rivers Petroglyph Site. We passed a sign on our way to White Sands National Monument and Christine got excited. On the way back we turned off the highway for a little exploration. 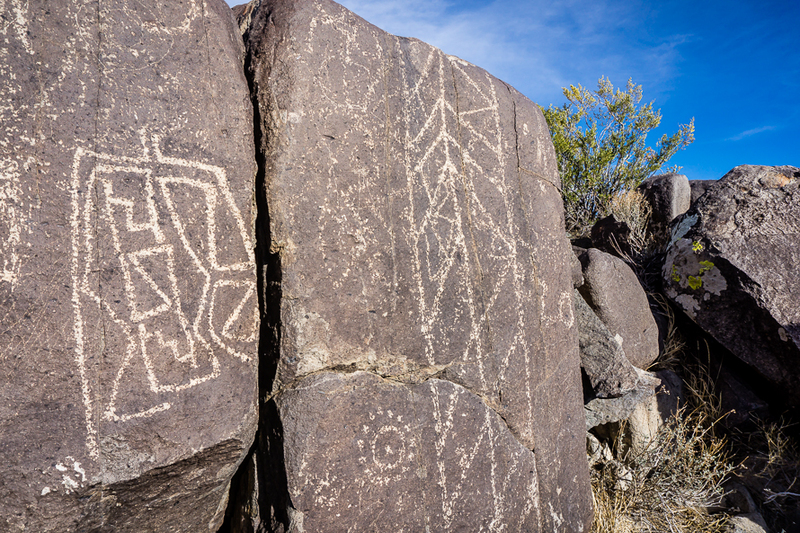 The petroglyphs at Three Rivers, dating back to between about 900 and 1400 AD, were created by Jornada Mogollon people who used stone tools to remove the dark patina on the exterior of the rock. A small pueblo ruin is nearby and Sierra Blanca towers above to the east. 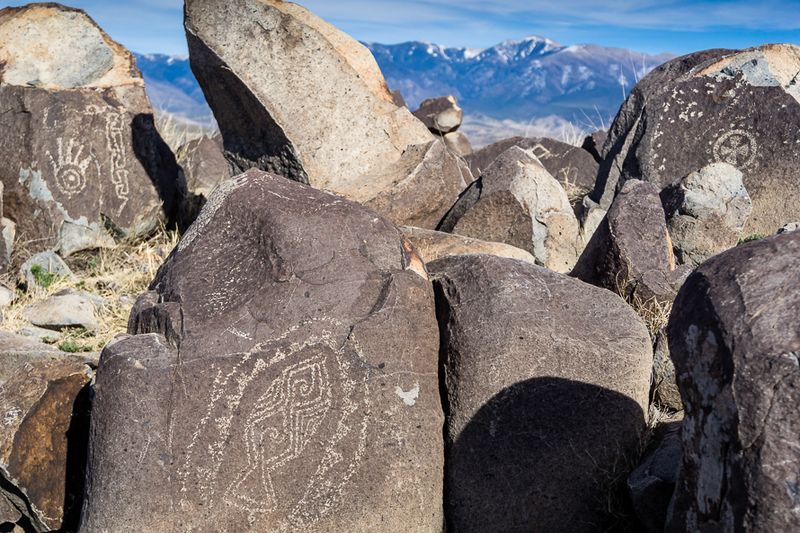 A detailed petroglyph guide is available at the Three Rivers Petroglyph Site. 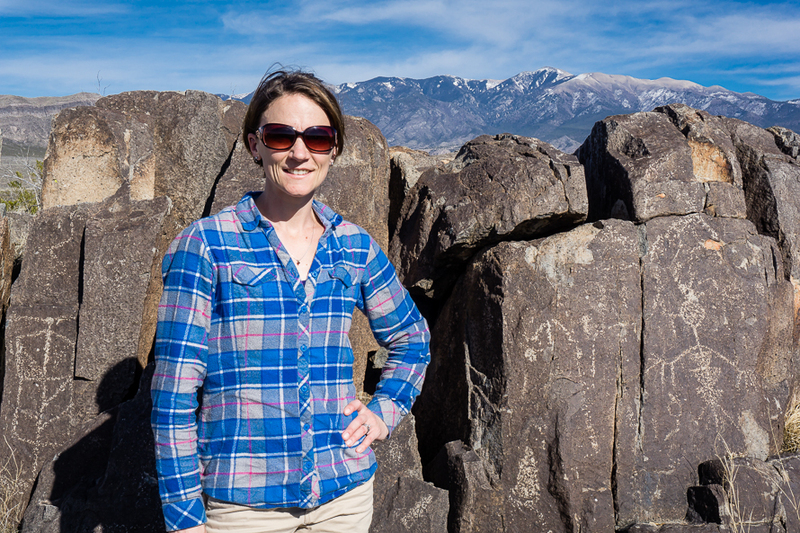 The Park Service has identified about 21,000 petroglyph’s in this site and one mile of hiking round trip allows you to see more than your fill. You’ll feel like they’re around every corner and on every stone. Some stone are small with only one carving and others are large with many, large carvings. 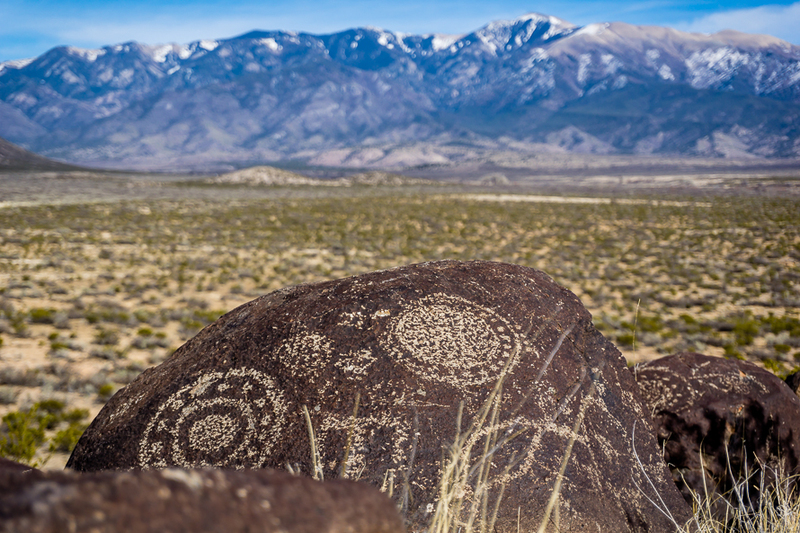 Make sure you take an hour or two (or all day if you have it) to visit Three Rivers Petroglyph site in southern New Mexico if you’re in the area. You certainly won’t be disappointed.